A total of 285 cases have been recorded since last October. 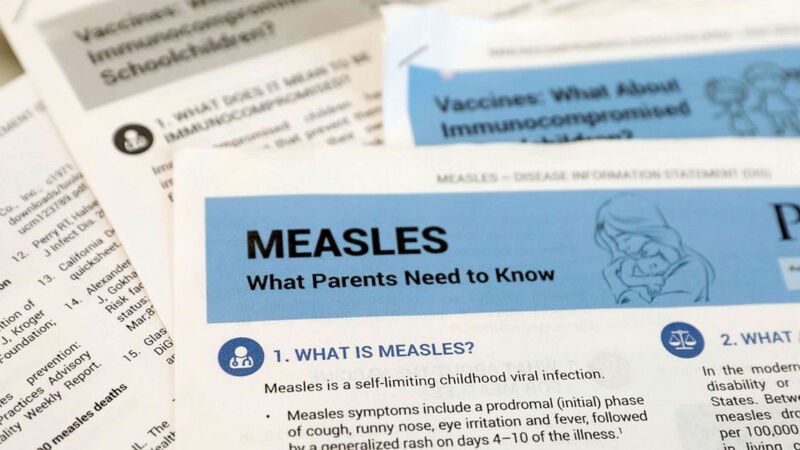 As part of the declaration, people living in select zip codes of Brooklyn's Williamsburg neighborhood who have not been vaccinated against measles and may have been exposed to the highly contagious virus will now be required to get the measles-mumps-rubella (MMR) vaccine. Those who don't comply could be subject to a $1,000 fine. (Mike Segar/Reuters, FILE) Materials left at a demonstration by people opposed to childhood vaccination in West Nyack, New York, March 28, 2019. “As a pediatrician, I know the MMR vaccine is safe and effective," Barbot said in a statement Tuesday. "This outbreak is being fueled by a small group of anti-vaxxers in these neighborhoods. They have been spreading dangerous misinformation based on fake science." 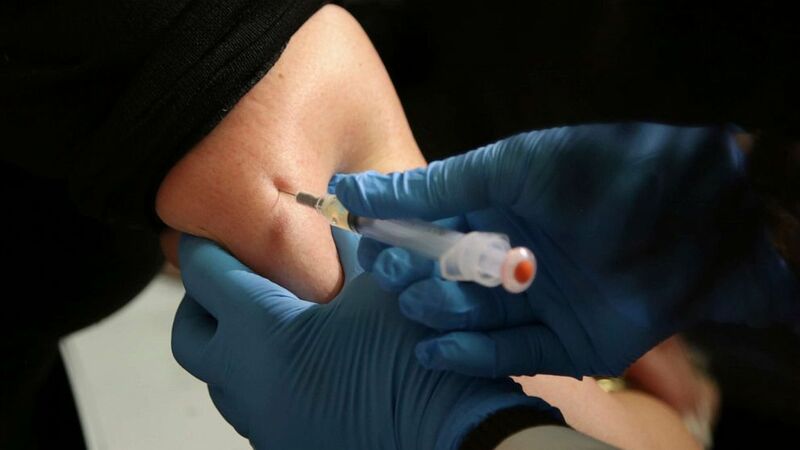 (Seth Wenig/AP, FILE) A woman receives a measles, mumps and rubella vaccine at the Rockland County Health Department in Pomona, N.Y., March 27, 2019.